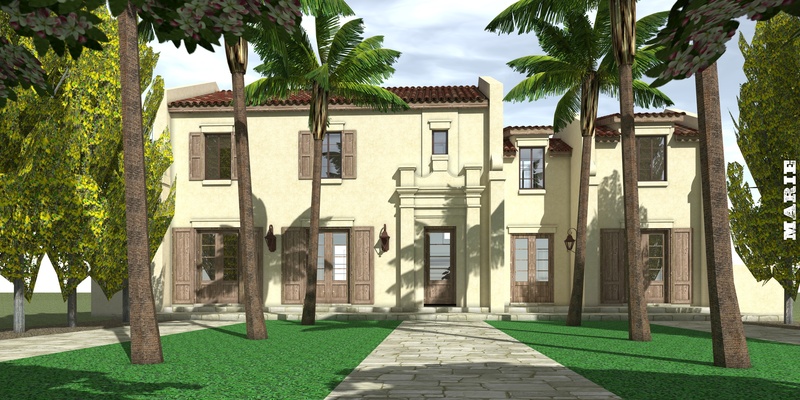 A Spanish Mediterranean plan featuring double doors from all front rooms out to the verandah. 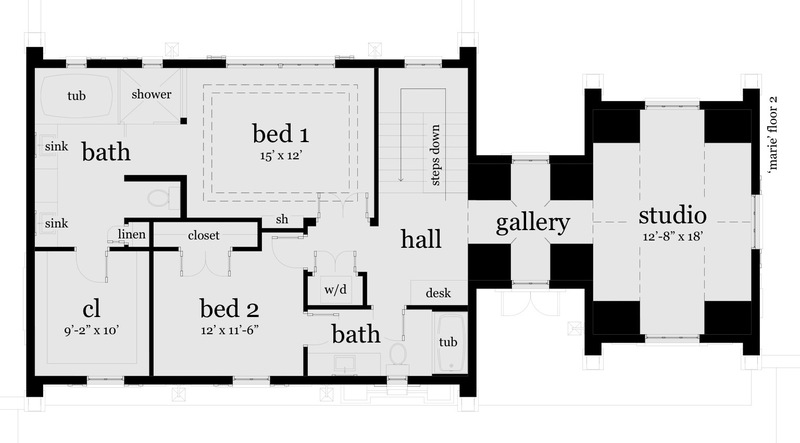 The open downstairs living space is designed for elegant period entertaining, and showcases thickened walls, arches, and decorative ceilings. 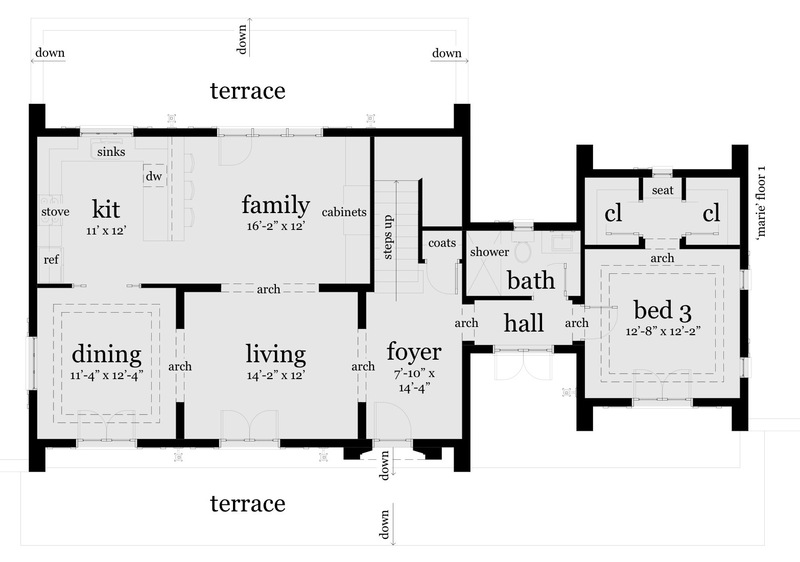 The upstairs provides a gracious master suite, and secondary bedroom. Through the upstairs gallery, is an art studio, library, or home office. 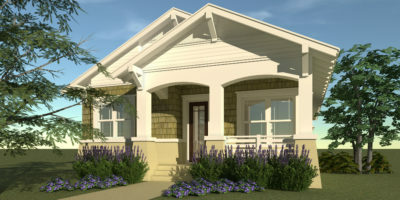 In 2008, this plan was the featured plan for French Country House Plans on Houseplans.com. 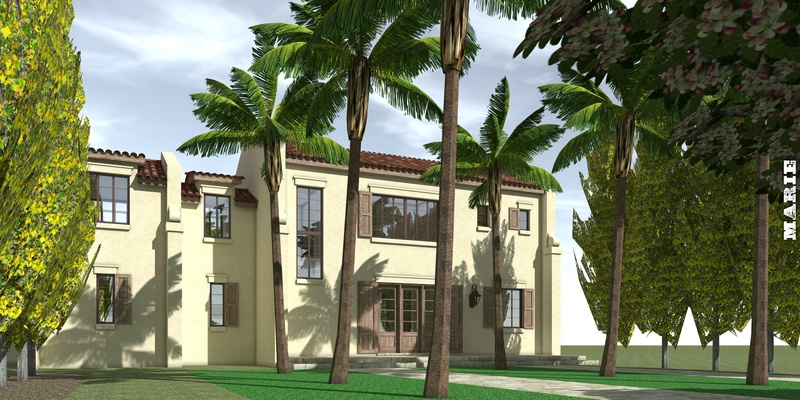 In 2003, this plan was featured in the Orlando Sentinel as Design of the Week. The roof is shingles over underlayment, a plywood deck, and pre-engineered wood trusses at a 5:12 pitch.